Unfortunately we can only be in New Orleans in spirit today for Mardi Gras (we did have a stack of pancakes though). If you are lucky enough to be there, we totally wish we were you. 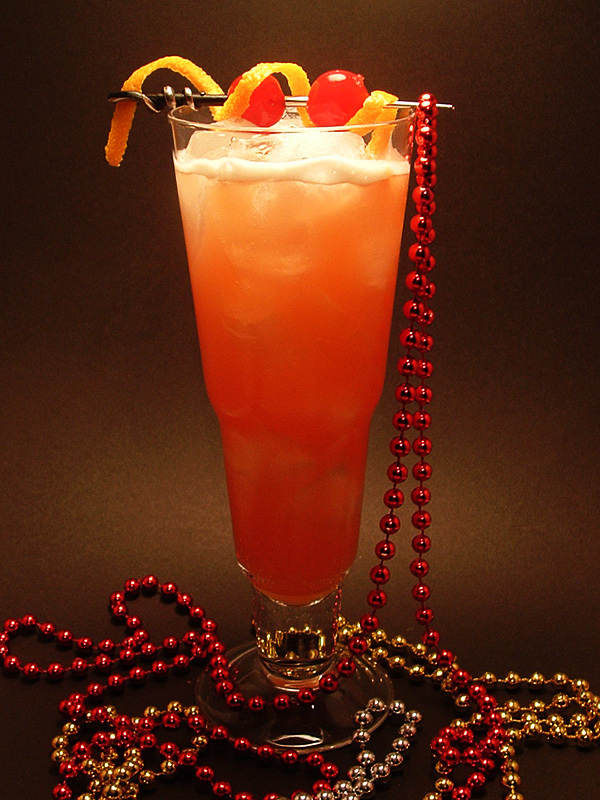 Yesterday we posted four of the classic cocktails of the Big Easy – today we add one more, the classic New Orleans Hurricane: a tall glass of awesome fruit flavours with the kick of 3 kinds of rum. Laissez le Bon temp rouler, y’all! Combine all the ingredients in a cocktail shaker filled with ice. Shake then strain into a tall glass (Hurricane glass preferred) filled with crushed ice. 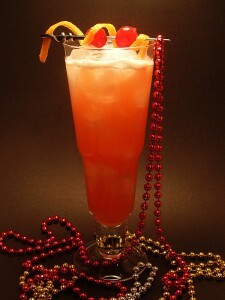 Garnish with an orange twist and a maraschino cherry. Is there a version called “The Karina”?